What is a Fallen Angel? A fallen angel is a bond that was rated investment-grade but has since been downgraded to junk status due to the declining financial position of its issuer. The bond is downgraded by one or more of the big three rating servicesRating AgencyA rating agency is a company that assesses the financial strength of companies and government entities, especially their ability to meet principal and interest payments on their debts. The rating assigned to a given debt shows an agency’s level of confidence that the borrower will honor its debt obligations as agreed. such as Fitch, Moody’s and Standard & Poor’s (S&P). A bond downgrade may occur when the bond issuerBond IssuersThere are different types of bond issuers. These bond issuers create bonds to borrow funds from bondholders, to be repaid at maturity. experiences declining revenues or other financial problems. The chances of a bond being downgraded increases when an entity’s debt levelsDebt CapacityDebt capacity refers to the total amount of debt a business can incur and repay according to the terms of the debt agreement. A business takes on debt for several reasons, boosting production or marketing, expanding capacity, or acquiring new businesses. How do lenders assess how much capacity for debt a company has? are rising while the revenues are dropping consistently. Although the downgrade may be viewed as a negative thing for investment grade managers, fallen angels are attractive to contrarian investors who want to capitalize on the entity’s ability to recover. In essence, they are considered higher-quality bonds than the average high yield bonds, and they have the potential of bouncing back to investment grade. 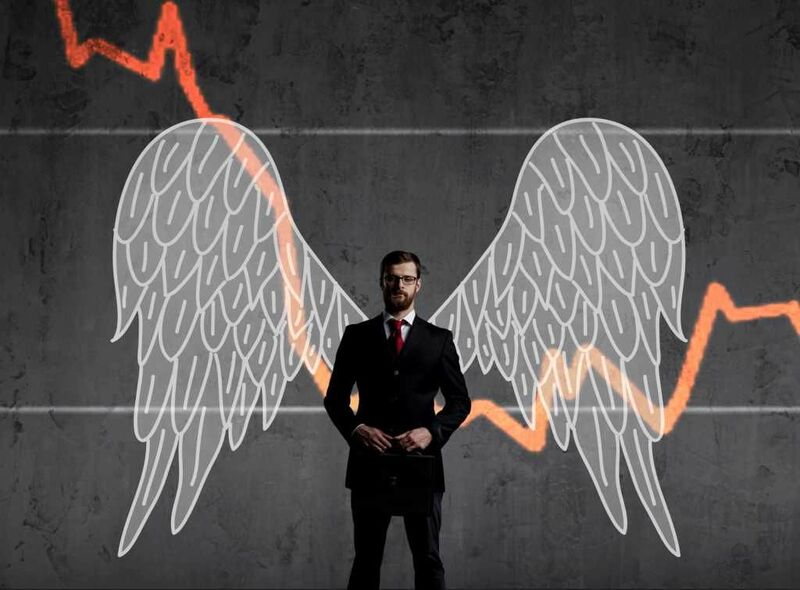 Fallen angel issuers are usually larger, more mature companies with well-known brand names, that have the resources to help them bounce back to investment grade. Fallen angels average higher price volatility. Before an anticipated downgrade, they are usually sold off by the market in bulk. After the downgrade, prices often increase as many investors rush to buy these bonds for speculative purposes. Investors have high hopes that once the firm recovers from financial distress, they will earn higher investment returns. Fallen angels average higher credit quality as compared to other junk bonds and original-issue junk bond indexes. About 75% of the bonds in the fallen angel category are BB-rated and therefore, have a lower credit risk. The average 12-month default rate for fallen angels is 3.51% compared to the 4.51% of original-issue high yield bonds and 4.22% of the overall high yield bonds. An entity may receive a downgrade in its credit rating due to the underperforming of specific segments of its business. For example, in the case of Nokia, the telecom equipment business segment generated higher revenues than the handheld devices segment that was struggling due to shifts in consumer appetites and technological changes. With the introduction of more sophisticated mobile devices by competitors such as Apple and Microsoft, Nokia was unable to generate adequate revenues from its handheld devices business. After selling the handheld devices segment to Microsoft, Nokia had the opportunity to focus on improving the telecom equipment segment to generate more revenues. The most common recovery strategy for a struggling company is to implement cost reduction measures. Cost reduction may involve limiting expenditures on resources, laying off personnel, or reducing benefits. A company may limit resource expenditures by successfully negotiating lower costs from suppliers. It may also terminate the services of some of its employees whose services are less critical in the production process. Automating some of the production processes can help in reducing the number of employees attached to these departments. A firm can also slash benefits such as pension or healthcare obligations until it undergoes full recovery. A company can make changes in capital deployment by reducing the capital allocated to underperforming segments and increasing capital allocations to well-performing segments. This strategy aims to reduce capital allocations on less profitable areas and use the capital to increase the revenues of more profitable segments. American International Group (AIG) implemented this strategy to remain afloat after the 2008 financial crisis. The company improved capital allocation to the most productive business segments to boost its revenue base. It also disposed of some of its assets to raise additional capital. AIG used the funds to pay back government bailout money that it had received. Fallen angels are bonds that were previously considered to be investment grade but have since been downgraded to junk bond status due to the decline in the issuer’s credit rating. On the other hand, rising stars are those bonds that were previously considered to be speculation grade, but have grown their revenues over time. They are close to the level of investment grade bonds and considered to have a reduced risk of default. Most rising star bonds are issued by relatively new businesses that do not have a history of debt repayment that rating agencies can use to assess them. Investors may gain from investing in fallen angel bonds by purchasing them just before or after they are downgraded, when prices for such bonds are likely to be lowest. A fallen angel’s recovery tends to drive up prices as the demand for the bond increases. When investing in rising star bonds, investors must identify a bond at the right time of the market cycle when prices are relatively low. If the bond gets an improvement in credit rating, it is a sign that the issuer is more likely to meet its debt obligations. Once the rising star moves to an investment grade bond, it means that the issuer can access funding from a larger pool of investors who shy away from junk bonds.